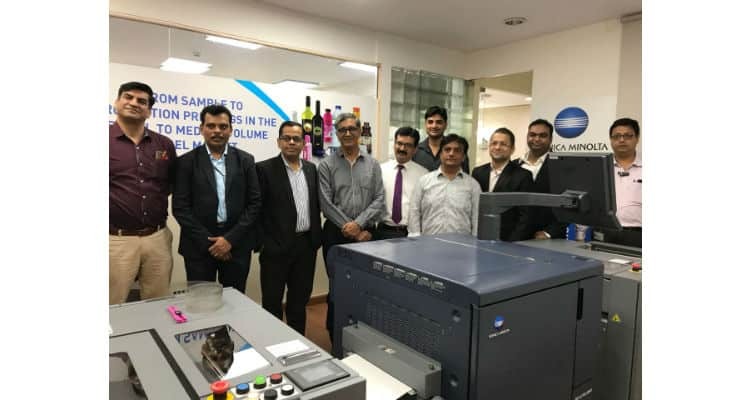 Konica Minolta Business Solutions has recently installed AccurioLabel 190, its state-of-the-art digital label printing solution, at Hora Art in India. The Hora Art installation marks the first roll-to-roll label printing installation made by Konica Minolta India and further strengthens the company’s domain leadership position in the country. The installation was followed by a grand inauguration event at the venue on August 9, 2018. At the event, Mr. Vijay Kamat, Product Manager IP and Mr. Shayak Mukherjee, Business Consultant R2R interacted with the media to discuss the differentiation that the innovative solution delivered for print and printing businesses. Konica Minolta India makes its first roll-to-roll label printing installation for AccurioLabel 190 0 out of 5 based on 0 ratings. 0 user reviews.